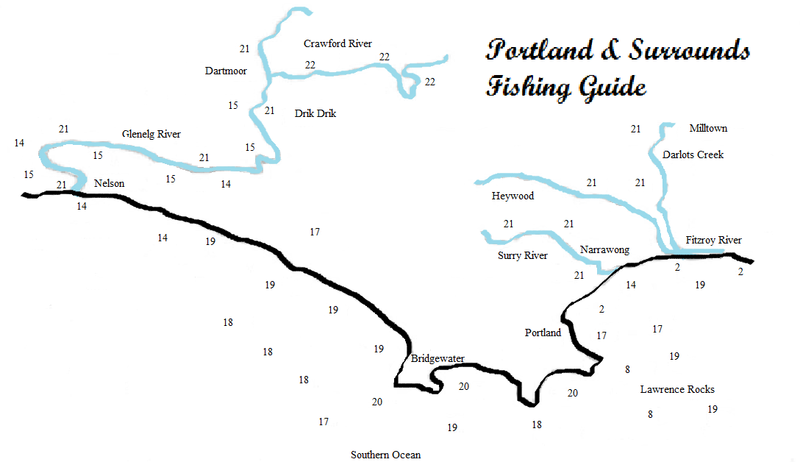 As one of Victoria’s fishing hot spots, the fertile seas and rivers in Portland and along the Discovery Coast offer a wealth of opportunities for keen fishers. Whether you prefer game fishing, river fishing or surf fishing there are plenty of productive waters well stocked with Salmon, King George Whiting, Snapper, Mulloway, Tailor Trevally, Garfish and Kingfish. 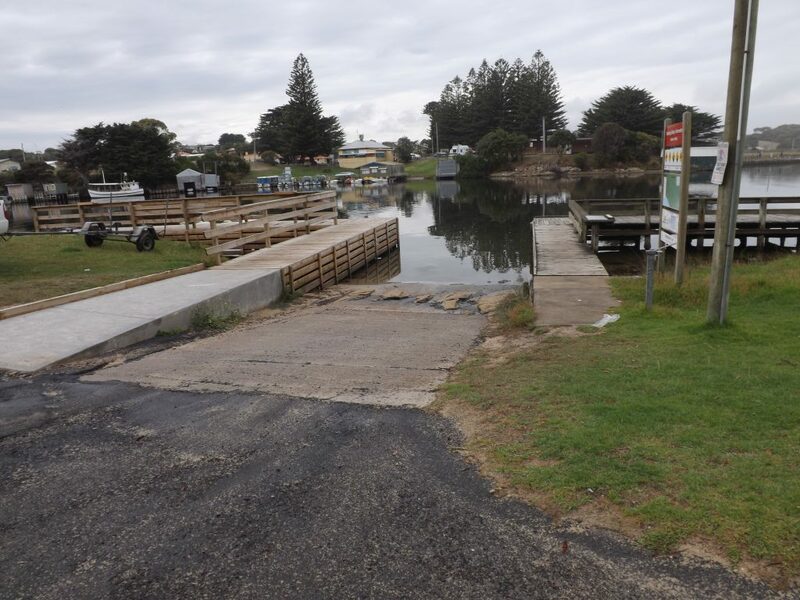 The Fitzroy, Surry and Glenelg Rivers along with Yambuk and Bridgewater Lakes, are popular destinations for local fishermen, whilst those with a boat can relax in a safe harbour, which also boast protection from westerly weather during summer. 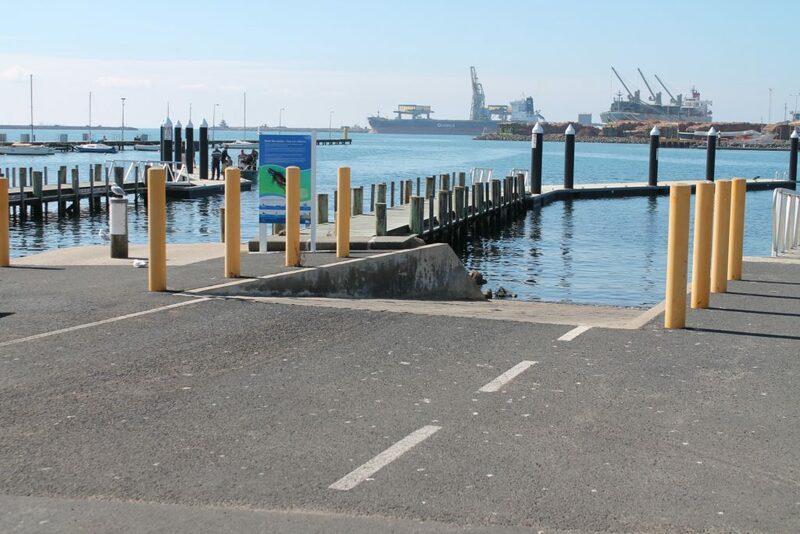 The harbour is buoyed by one of the busiest boat ramps in Victoria. 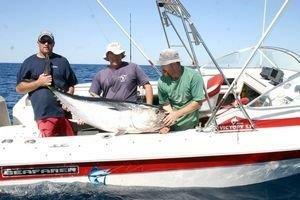 In January one of the hottest types of fish is the shallow line sizzling Yellow Tail King Fish. Mulloway are certainly a sight for sore eyes and they taste fantastic. Sharks such as makos and thresher are renowned for their line ripping and jumping out of the water antics, while blue sharks and gummies, bronze whalers and schoolies are also prevalent in our seas. Morwong, blue morwong, snapper and coral perch are just some of the true smorgasbord of fish caught in the waters of the Discovery Coast in summer. There are plenty of torpedo squid and usually good runs of calamari squid. 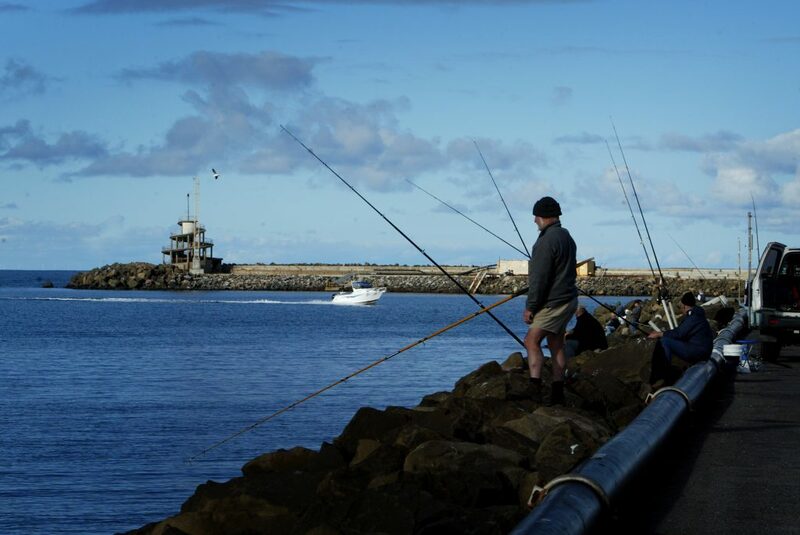 Fishing licences are essential in Victoria and can be purchase from Bait and Tackle shops, service stations Service Stations, Caravan Parks and the Post Office. They are available form 24 hour licences to annual licences depending on your needs. The Portland Bay Marina has paid berths available for boats ranging from small trailer boats to large ocean going cruisers and yachts. Information on boating facilities is available on the Glenelg Shire Website under the Local Port of Portland Bay Phone 03 5522 2141. 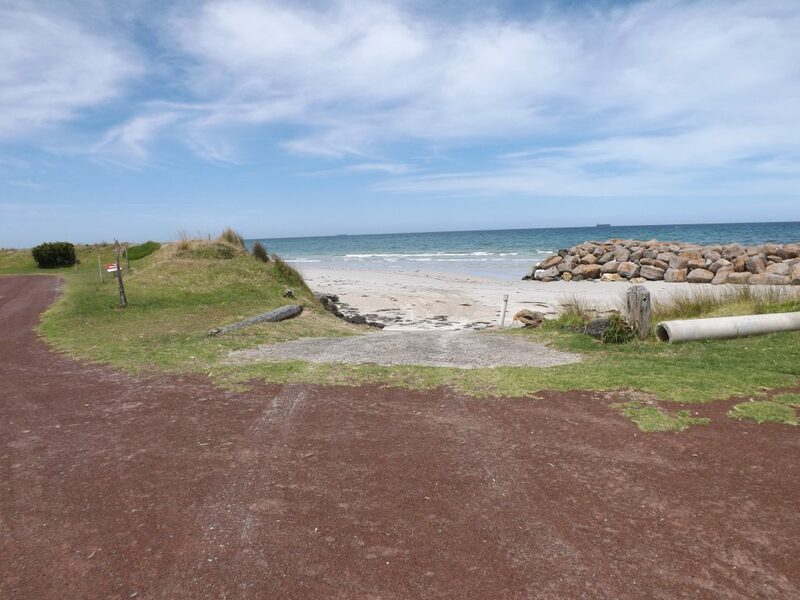 Launching from the beach at Cape Bridgewater is available. 4wd is advisable. Can be found at the Aquatic Club, by the fresh water lakes. 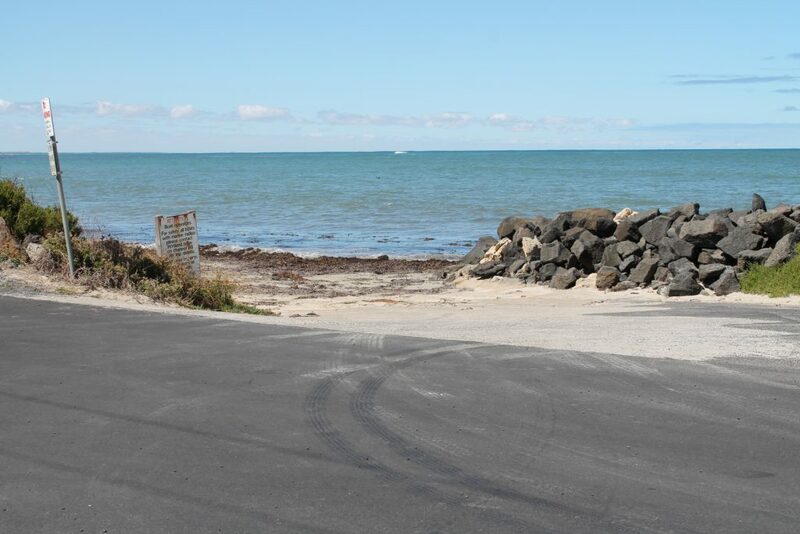 Wally’s Ramp is located on the corner of Fergusons, Beach and Huxley Roads. There is a small parking area located at the top of this ramp. The ramp is partially concreted bit 4wd is advised for launching from this ramp. Small to medium boats are suitable for this ramp. This launch is found on Thomson Road west of Tyrendarra. This launch is only suitable for small boats. the launch has multiple camping areas within close proximity providing good facilities. Camping at the ramp is prohibited. 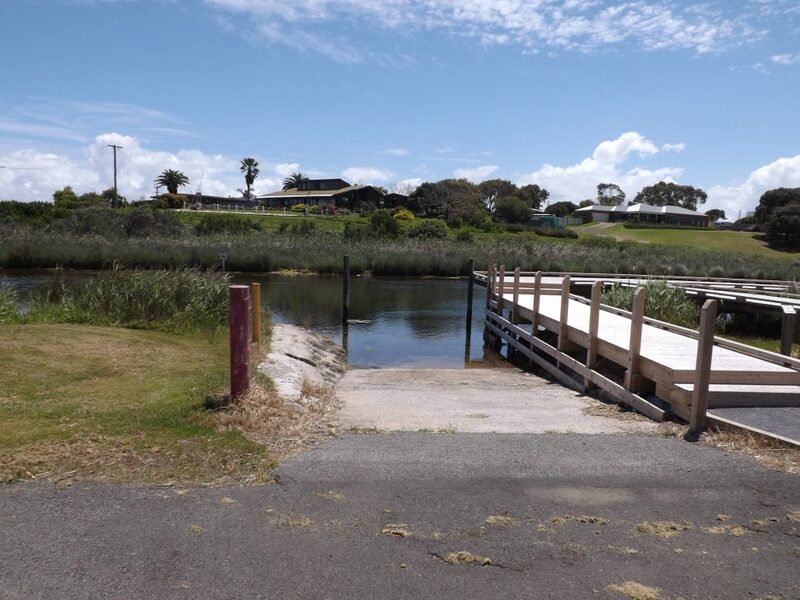 There are multiple launches located along the Glenelg River with seven different sites scattered along the river between Nelson and Winnap, there will be one suited for your boat. The largest is located on Old Bridge Road alongside the nelson River Cruise boat. This is a solid concrete ramp. Moving up the river access becomes more limited with four wheel drive use best for ramps past the Isle of Bags Road ramp. 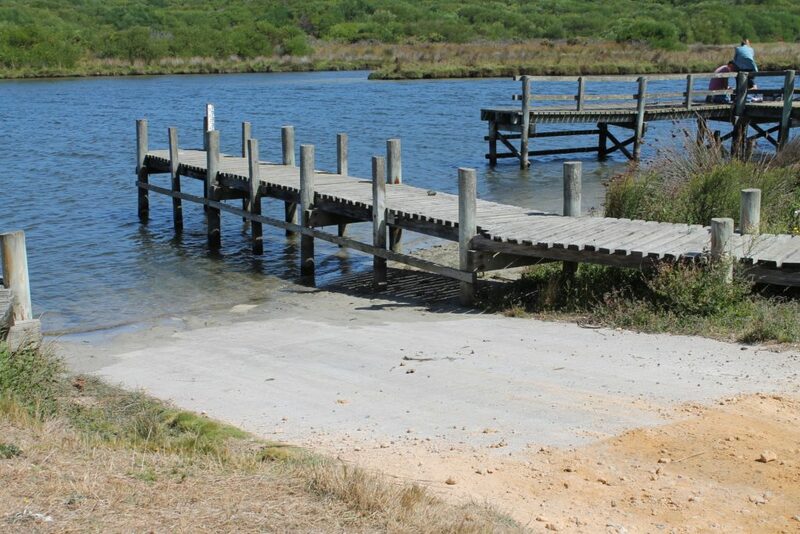 Located at the Henty Bay Caravan Park into the northern side of Portland Bay. This is a sealed ramp available for use by tenants/ paying guests in the Park. 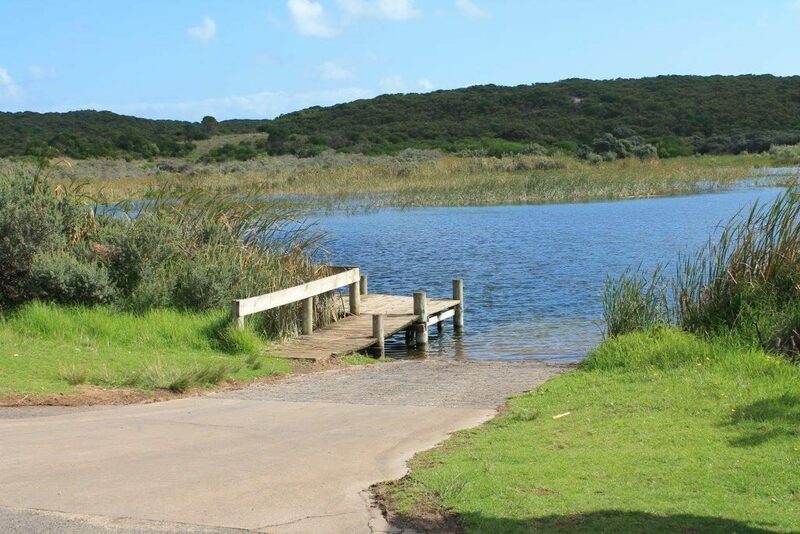 This launch is for small boats and is located at the Narrawong Camping Reserve allowing launching into the Surry River. Launch into the Glenelg river by the kiosk. This is a concrete ramp with parking available.